From co-working space to one-on-one tech training, ACL has much to offer your business. Drop by our Fishersville Library or try some of these online resources. Downloadable e-books and audiobooks from Overdrive: Popular business titles available 24/7 from the comfort of your home. NOLO business and legal guides in our catalog. Place a hold and pick them up at the library location of your choice. Business books in our catalog. 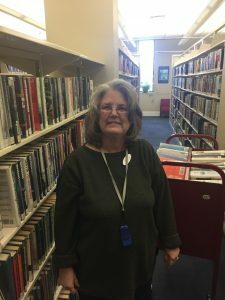 Place a hold and pick books up at the library location of your choice for help with bookkeeping, management, legal issues, organization, marketing, technology, personnel, strategic planning, nonprofit organizations, fundraising and more. Career Advancement & Occupational Exams: Don’t pay for practice tests! Use our great Learning Express Library database which includes dozens of career certification exams and the CDL exam. RBDigital Magazines: Free digital subscriptions to over fifty magazines, including The Economist, Bloomberg Businessweek, and Forbes. Shenandoah Valley SCORE: Mission is to provide counseling and mentoring to help small businesses evaluate plans, stabilize, grow, innovate and succeed. Small Business Development Center: Offers consultations and workshops, both in Harrisonburg and Verona (Augusta County Government Center). Staunton Creative Community Fund: Connecting people, cultivating ideas, & identifying resources to grow our local economy. Business One Stop: Official Commonwealth of Virginia site with a goal of being the first and only stop a business will need to make when establishing a business or accomplishing tasks related to their business. Business registration, paperwork, and other resources. Business USA: The federal government’s centralized, one-stop platform to make it easier than ever for businesses to access services to help them grow and hire. Small Business Administration: Provides online training, financing information, business plan resources, and much more.